At Roonagh Quay you can take the ferry to Clare Island. Cistercian monks established a presence on the island in 1220. There are the ruins of Saint Bridgets church dating from the 16th century. Clare Island’s silhouette is dominated by the giant hump of Knockmore on her western edge which is 461 metres high. The western cliffs are among the most dramatic in Europe and are home to large numbers of nesting sea birds. 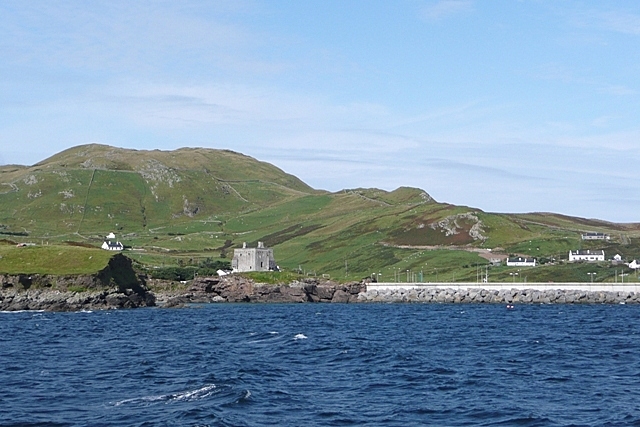 This is of course the island where the famous pirate queen “Grace O’Malley” is buried. One of her castles is still there on the island. As well as her pirating Grace was known for importing Scottish mercenaries for chieftains’ wars, cattle rustling, and plundering. This island is well worth a visit on your tours of Ireland. At Ireland and Scotland Luxury Tours we like to take our clients to Clare Island. The only issue can be the weather. It can be very unpleasant on a bad day. But we always have a “Plan B” and usually we take in the beautiful town of Westport if the weather is overly inclement. Nice food, a Guinness, and a hot whiskey usually makes up for any disappointment! !